Retirement Calculator – Are You Investing Enough? Click to go to the calculators. The max you can invest. If you’re investing the max. There are only 4 inputs so go on over to the FINRA website and see where you;re at. February is National Teen Dating Violence Awareness Month. To get the word out about this very serious subject, the domestic violence help center, A Better Way in Victorville, CA, is hosting it’s second annual poster contest! The poster contest is open to all high school students. The theme is “Teen Dating Violence”. The Grand Prize is $300, 2nd place is $200 and 3rd place is $100. All entries must be received by January 31, 2013. All of the contest forms and guidelines are available online. For more information call A Better Way at (760) 955-8010. 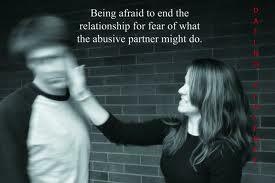 Dating Violence iscontrolling, abusive, and aggressive behaviourin a “romantic” relationship. It occurs in both heterosexual AND homosexual relationships and can includeVERBAL,EMOTIONAL, PHYSICAL OR SEXUAL ABUSE, OR A COMBINATION OF THESE BEHAVIOURS. 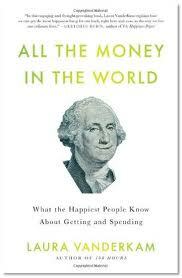 Financial Education Speaker & Author Shay Olivarria is quoted in this book! Financial Education Speaker & Author Shay Olivarria has been quoted in a new personal finance book by Laura Vanderkam, All The Money In The World: What The Happiest People Know About Getting and Spending. Have you read it yet? Check out the quote heard ’round the world …. ’round the bookshelves? Use TV as a teachable moment. “TV has some of the best teachable moments ever,” says Shay Olivarria, a financial education speaker and author. If kids are watching shows they shouldn’t be watching (like MTV’s Cribs), then “at least get something good out of it,” she says. Why do the characters think that a flashy house or car indicates success? Talk about why a lower interest rate on a mortgage matters in terms of monthly payments, and if you’re working extra hours to afford a particular vacation or to get out of debt, make sure they see the connection. Keep in mind that in a cashless age, kids may have a harder time grasping what money really is. “A lot of children don’t understand how ATM cards work,” says Olivarria. “They think it’s magic. They don’t understand that money has to go in the bank for you to pull money out of the bank.” They may think that when you want something, you just swipe a card and get it, without understanding that a bank balance is debited somewhere, or that you’ll have to pay a credit card bill later. So it may be worth using cash on occasion to help them understand what’s going on. Tough love, right? Do you agree? Disagree? Check out the book and share your thoughts. Did you know that there are 28 financial institutions owned by Black people? How about that there are 33 owned by Latinos? 86 owned by Asians and 19 owned by Native Americans? If you want to use your funds to grow your community then using a financial institution owned by communities of color might be right up your alley. Check out the whole list here.